We are currently in a stage of the complete revolutionized industrial era. Like past eras, this period will too have an immense impact on industries productivity. In this rapidly changing technological era robots and softwares are replacing humans. Industrial Digital technology includes innovations such as intelligent products and processes, a deeper integration along the supply chain, and digital technologies in production. The aim is a faster reaction to increasingly variable customer demand, resulting in increased competitiveness. New technologies have a great impact on a number of industries today and Enterprise resource planning (ERP) is playing its role in driving the success of these emerging technologies. Adopting the best trends is the only way to avoid being left in the dust of progress. Here we have discussed how robotic automation is becoming smarter with ERP. Robotic automation is generating substantial revenue savings for industries, with $50 million recovered in 2017, with a projected compound annual growth rate of more than 60% through 2026. This emerging technology with a business-centric solution like ERP systems will ensure your workforce is free to engage in the more demanding aspects of your operations, all while automation handles the rest. 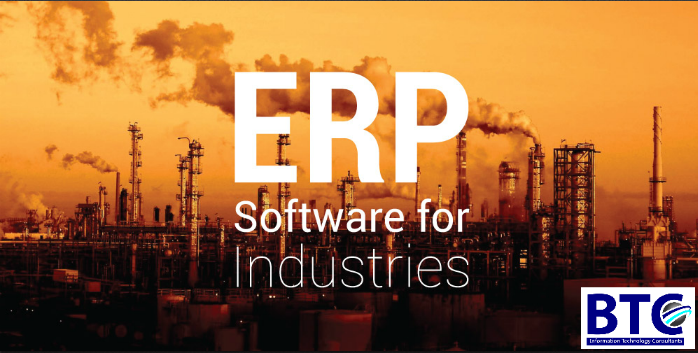 With the ERP system industries are becoming by entering transactions, executing programs, and extracting reports automatically, in a fraction of the time. This gives the human capital component of your business more freedom to approach tasks that require reasoning, judgment, and critical thinking. In the competitive world of industries, businesses need every advantage to ensure that they are operating at peak performance. A powerful ERP system like SAP Business One In Dubai is an exceptional way to ensure your competitiveness. This gives your business a chance to grow steadily and in a better way. Consider working with implementation and consulting professionals to more effectively outline and execute the future of your business’ digital operations strategy. For becoming smart, efficient, and competitive industries, one needs to deliver the shortest possible product run, improve the speed of delivery, trace the product at all steps in the chain, manage that chain, and forecast all of these things with greater accuracy than before. Those are not light tasks to undertake, but ERP solutions meet these challenges. Indeed, ERP has been meeting these kinds of challenges for a long time. For instance, Success rates of our product SAGE 300 in UAE is increasing and unifying nearly all business processes. Imagine procurement, purchase orders, material costs, inventory control, business intelligence, planning and projecting, and more all aligned with one another, operated without interference, and continuously re-evaluating the process to scan for errors. This is what cutting-edge ERP product of SAP Business One In UAE, SAGE 300 In Dubai, SAGE 50 UAE, HR software in Dubai provides, eliminating time-wasting, costly, and occasionally dangerous plug-and-play manual operations.